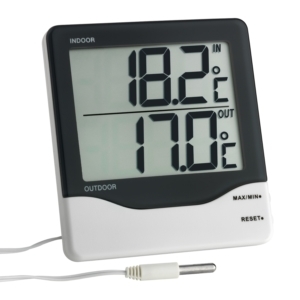 This digital Minima Maxima Thermometer is a real outdoor device. 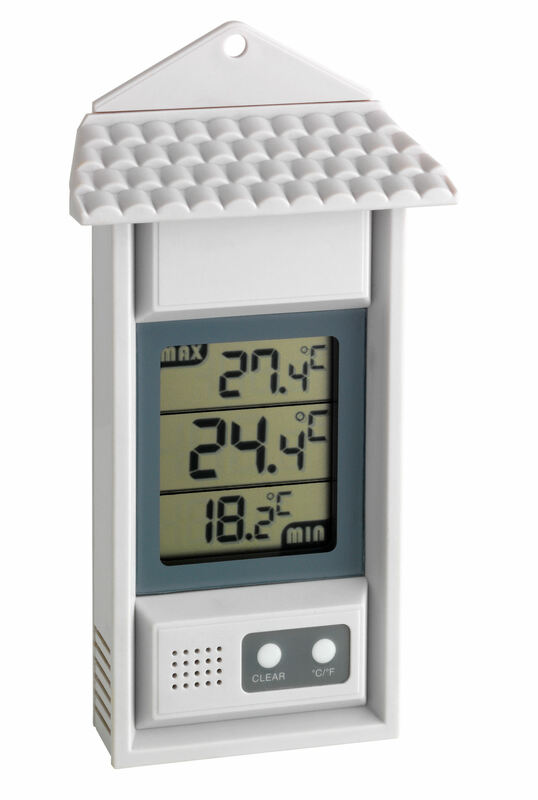 With its weatherproof housing, it can be easily hung outdoors. 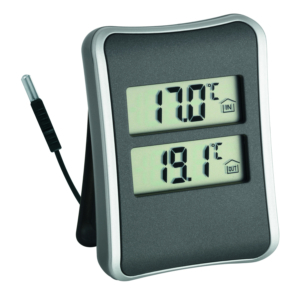 The highest daytime temperatures and the lowest night-time temperatures are displayed on the clear display with digital precision. 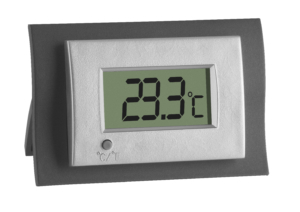 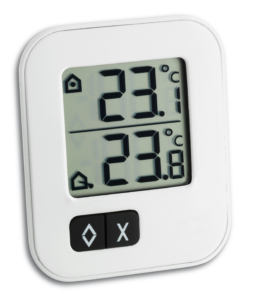 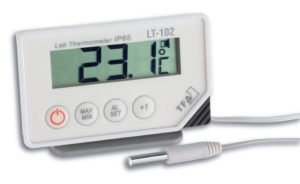 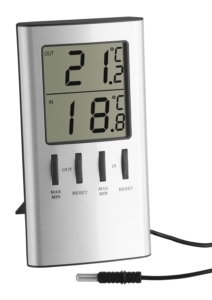 Thus, the practical thermometer is ideal for the garden and agriculture, but also for temperature monitoring of living rooms, the greenhouse, wine cellars, storage rooms or the freezer.